I did a little mockup for EW.net – cleaning it up, and maybe a little bit of information architecture. Use a three-column structure, instead of a two-column layout which stretches the loading page a lot. 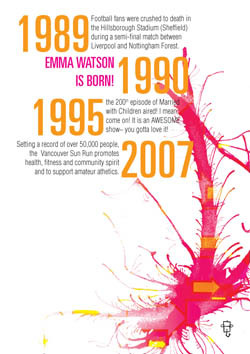 Pages designed for Emma-Watson.net. You can view the PDF HERE. Acrobat Reader required. 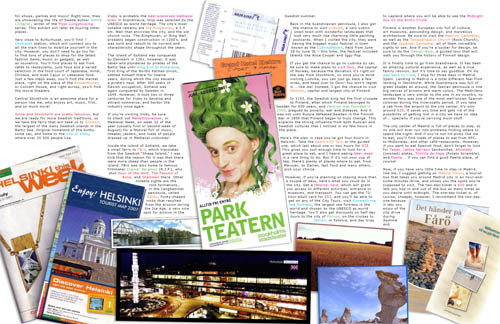 Print layout design for a traveling guide throughout Europe, specifically Sweden, Finland and Spain. This features photos taken by me, accompanied with bold design colors, and a bunch of ads and printed material collected throughout my journey. The article is a 30-day traveling journal that describes many of the activities and places I went to. 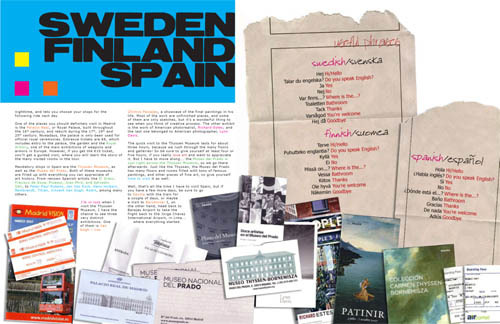 It also includes a useful list of words in Swedish, Spanish and Finnish to help out the lucky traveler who might find this article convenient. Fansite for English actress, Emma Watson, got their fans to compile a selection of photographs from all over the world to present to their favorite actress for her 17th birthday. 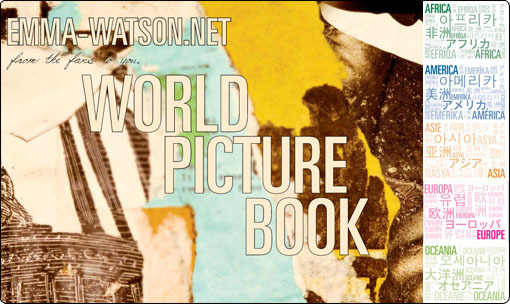 A few weeks of picture gatherings and a couple of weeks of intense work on the layout, the World Picture Book came out as an over-90-pages long book that showcased the various places Emma’s fans are from. 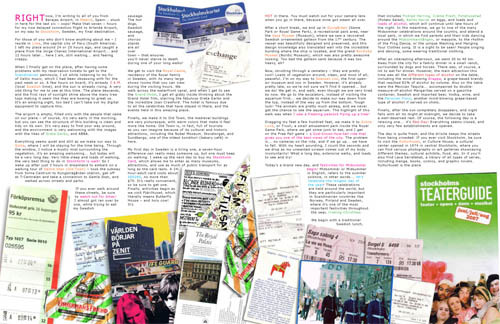 The book was divided by continents, each with a typographic cover in different languages, including Chinese, Japanese, Korean, French, English and Spanish; and color palettes. Fansite for English actress, Emma Watson, prepared a selection of different 17 items, including books, films, songs, questions, poems, drawings and events, to celebrate the 17th birthday of the actress. 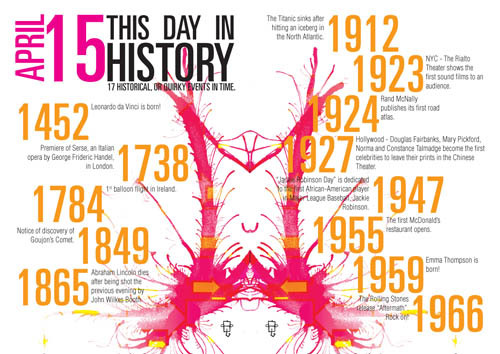 The events page was to be different than regular timelines, and really attractive to the eye, for which I used strong typographical and color choices. The result was included in the spiral bidning of the book, which was delivered to her in the month of April.